Samsung Electronics' color jacket phone looks like it will be another hit in the domestic mobile phone market. 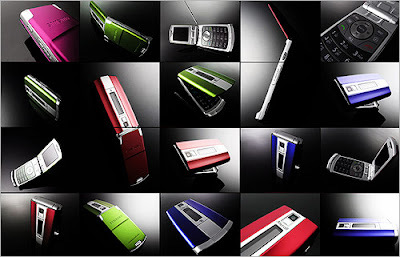 Users of the Anycall series of color jacket phones can, as the name suggests, change the phone’s exterior to any of seven colors to match their mood or outfit. The TV commercial for the phone is also hot. In the commercial, superstar Jeon Ji-hyun competes in a stripping contest with a male model, taking off her clothes to reveal another layer of clothing underneath, highlighting the feature of the phone. Check it out.